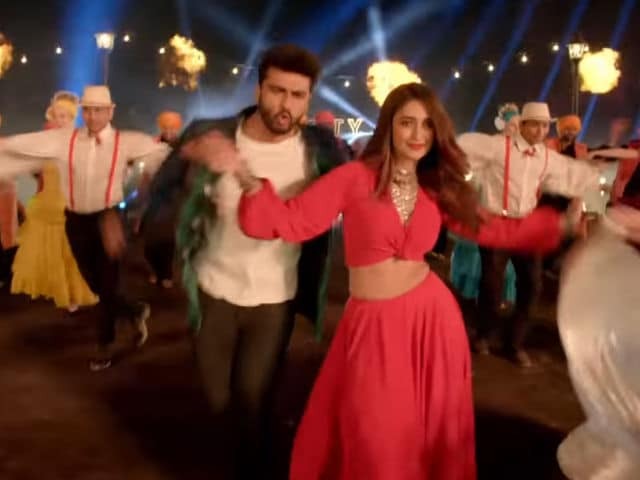 The makers of Mubarakan are ready to give your weekend a bumper start with the release of the film's song Hawa Hawa. But first, they released the teaser of the song, which started trending on Twitter in the blink of an eye. Arjun Kapoor and Ileana D'Cruz groove to Hawa Hawa, which is sung by Mika Singh. The original track was composed and sung by Pakistani pop artiste Hasan Jahangir in the Eighties. From the teaser it looks like the makers have remixed the song almost entirely with peppier beats. After the teaser, the wait for Hawa Hawa will become a little difficult. Meanwhile, talking about Hawa Hawa 2.0, Arjun Kapoor told media on the eve of his birthday: "Yes, it was a popular song. So we had a responsibility to remix the song in a better way. All have seen this song but maybe it is ready for a remix so that today's youth can enjoy it," reported news agency IANS. Arjun Kapoor has a double role in Anees Bazmee's Mubarakan. His characters are called Karan and Charan, who are in love with Sweety (Ileana D'Cruz) and Binkle (Athiya Shetty). In the comedy of errors, Karan gets engaged to Charan's girlfriend and vice versa. Enter Kartar Singh (Anil Kapoor), who is Karan and Charan's uncle, and the only man who can probably solve the situation. Mubarakan also features Neha Sharma, Rahul Dev, Ratna Pathak Shah and Karan Kundra in pivotal roles. The film is scheduled to hit the screens on July 23.